EAE Makina Sanayi ve Ticaret A.Ş. EAE Group has distributors, authorized dealers and customers in 65 countries. 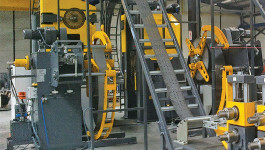 Since 1996 EAE Machinery; have been producing electronic roll feeders, decoilers, roll straighteners. We Offer the Most Comprehensive Product Line Experience Focusing to research and development, EAE has been increasing the range of machines to serve activities for press shops. 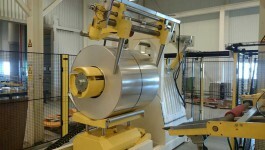 Apart from standart models, we are able to add custom design special equipment and offer full technical evaluation of sheet metal production lines. We Offer the Most Comprehensive Product Line Experience Focusing to research and development, EAE has been increasing the range of machines to serve activities for press shops.